Raymond D. Findlay, IEEE President, 2002, is a professor at McMaster University. He also serves as vice president of JDRF Electromag Engineering Research, Inc.
Raymond David Findlay’s knowledge of the history of electrical engineering and IEEE, his dedication to member services and student activities and his belief in IEEE as a transnational technical society can be seen in his over forty years of dedicated volunteer service. Known for an ability to effect change in people to produce positive results, Dr. Findlay has made an impact on IEEE at all levels. His greatest contribution was perhaps the leadership he provided as IEEE president-elect and president during 2002. At this time, IEEE’s general fund was hit hard when its investments took a downturn. Dr. Findlay led the efforts to eliminate the deficit and put IEEE back on the path to financial prosperity. During his term as vice president of the Regional Activities Board from 1996-97, he promoted dues levels that made IEEE student membership attractive to undergraduates and supported programs that encourage retention. He also introduced the “Centers of Excellence” concept to the IEEE Foundation. 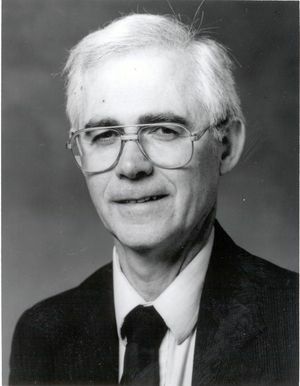 As IEEE Region 7 director from 1994-95, Dr. Findlay was instrumental in effecting the merger of IEEE’s Region 7 with the Canadian Society of Electrical and Computer Engineering to form “IEEE Canada.” He became the first president of IEEE Canada in 1995, and following his service the IEEE Canada board elected him Director Emeritus. Dr. Findlay’s professional focus is low frequency electromagnetic fields and losses in electrical power devices, in which he has more than 200 publications. An IEEE Life Fellow, Dr. Findlay is an Emeritus Professor at McMaster University in Hamilton, Ontario, Canada. This page was last edited on 3 January 2018, at 19:21.